Over the summer months here in Australia it is hard to crochet because of the heat. It can be dreadfully hot and holding onto wool and a crochet hook while sweating is not pretty. My crochet always goes into hiatus over the summer months and I miss it terribly. 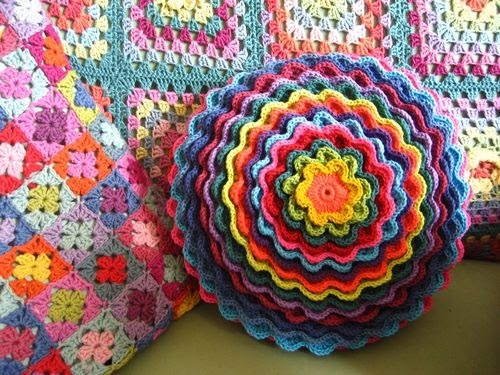 Last summer I crochet cotton dish clothes, made heaps and got bored very quickly. 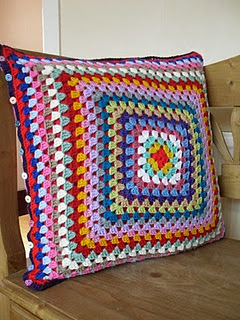 Our hot months are from now until easter and I am looking for some crochet goodies that can brighten up our home. I love this cushion from Lucy at Attic24. 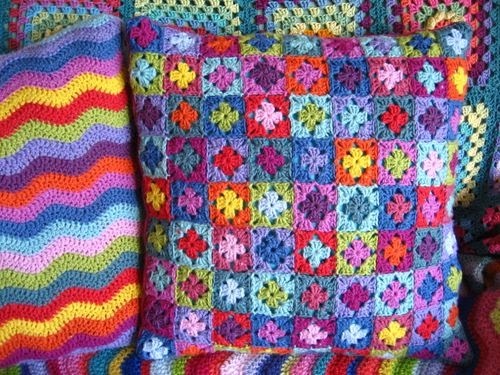 Giant Granny Square cushion from The Craft Attic. Little square cushion again from Attic24. 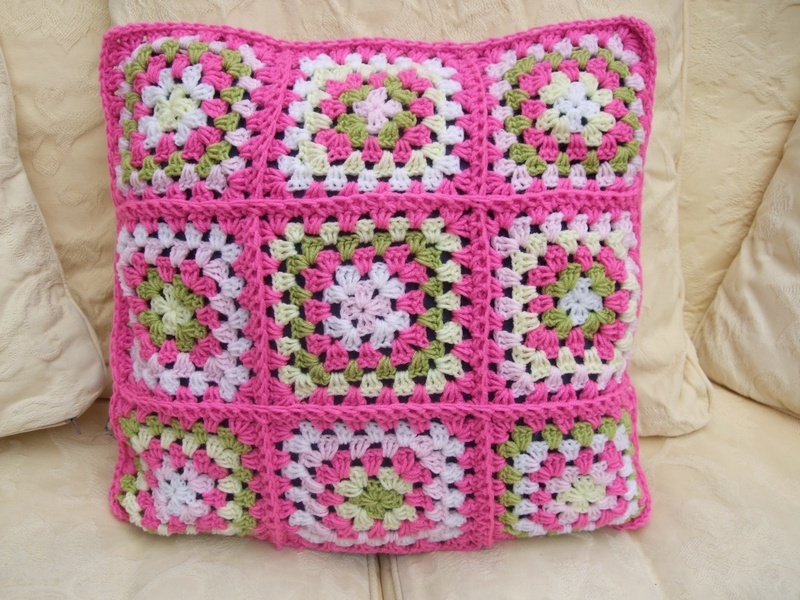 Granny square cushion, this image was souced from cozycottagegifts. 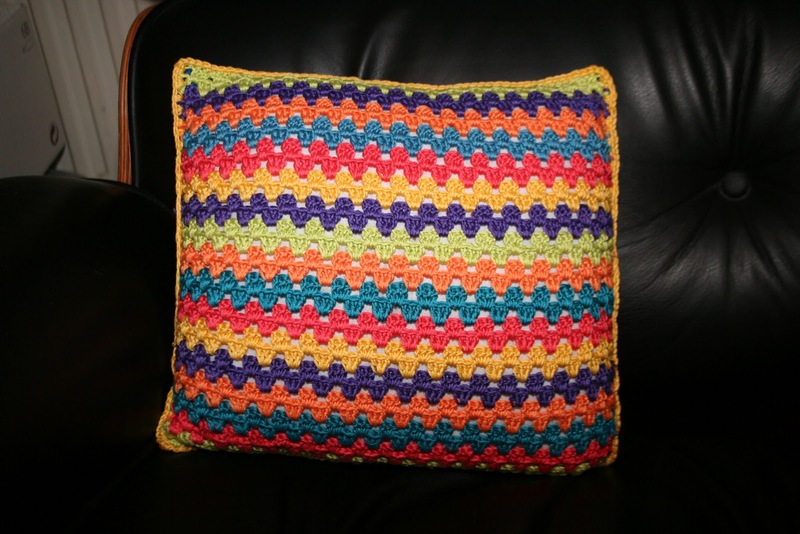 Do you crochet in Summer? What projects do you work on?